In our recent survey, we found that 47% of our customers weren’t using beard oil or any other product to keep their facial hair moisturised. It might seem a bit of an extravagance, but beard oil actually has its benefits and cares for the hair as well as the skin beneath. 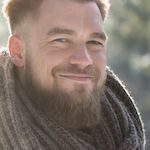 Many men choose not to style their beard but using a product for the hair isn’t considered styling, it’s treatment to keep skin and hair healthy. Our experts at Shavers pulled together a handful of benefits when using beard oil as part of your beard grooming routine. Beard Oil nourishes the hair to make it softer and more manageable. It’s not only hydrating to the hair but the skin beneath too. When you grow a beard, the hair absorbs any moisture from your skin and due to this, your skin begins to dry out and without any moisture replenishment, the skin becomes dry and broken. Dry and broken skin leads to beard itch and its partner beard dandruff. The dandruff is caused because of the excessive scratching and the dry, dead skin beneath the hair. By using beard oil, the skin beneath will be kept moisturised and stop both the itch and dandruff. Beard hair has a mind of its own and will grow at different angles and lengths. Some men choose to style their beards to the shape of their face, whilst others simply allow it to grow as it pleases. There is no right or wrong, however, using beard oil will soften the hair to make it more supple and manageable. 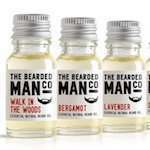 Many beard oils are scented and really do smell amazing with lasting effect. Your beard will smell fresh, clean and depending on the essential oils added, incredible all day. Harsh aftershaves can be somewhat over powering but beard oils are gently scented with a more natural fragrance. It’s not going to suddenly boost hair growth and you won’t wake up with a thick, full beard overnight. However, as beard oil nourishes the hair, it prevents split ends and helps the hair follicle to become stronger. If you find that you have somewhat patchy hair growth, beard oil promotes healthy skin and can help the hair follicles to flourish and prevent ingrown hair. 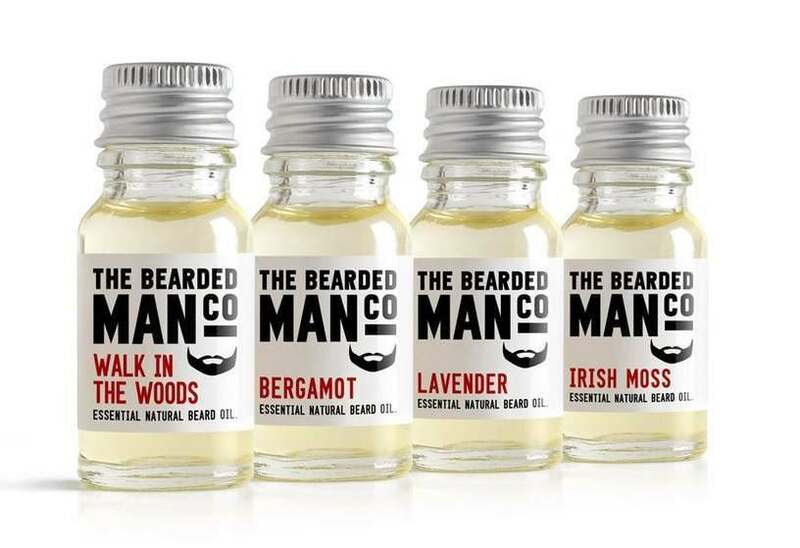 If you have particularly sensitive skin, due to beard oil moisturising the skin beneath, it can help prevent the redness and irritation that comes with harsh chemicals from shampoos or day to day environmental changes. Beard oil doesn’t interfere with sebum production and doesn’t clog pores, so it can help cleanse and nourish skin prone to breakouts. Go natural with The Bearded Man Co Sandalwood Beard Oil. The 100% natural, high performance beard oil provides soft, conditioning and nourishing results day after day. No-fuss ingredients ensure the oil is kind to your skin, preventing any irritation with daily use. 30ml Cedarwood Essential Natural Beard Oil In stock and ready for dispatch! Men Rock Soul beard oil has a light, fruity fresh scent and the silky oil nourishes your beard leaving it soft and supple. Its active Vitamin E oil ingredients help to supercharge the nourishment of your beard hair and leaves skin and follicles moisturised. Bobo’s Ylang Ylang Beard Oil is made up of 100% natural ingredients. The finest Moroccan Argan Oil makes up the largest percentage of Bobo’s Beard Oil and is slightly scented with Ylang Ylang, and leaves you smelling fresh between beard washes. Ylang Ylang Little Beard Oil In stock and ready for dispatch! If you’re an avid user of balm but you’re looking to try something new, here is our expert guide to beard balms vs. beard oils.